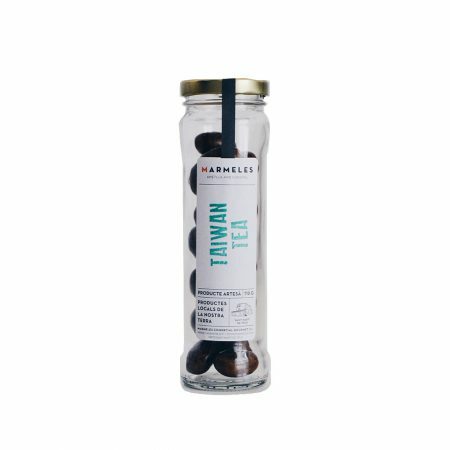 Complement good coffee, as it should be! 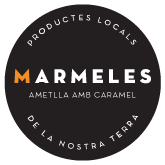 Discover Marmeles and Let yourself be Amazed! 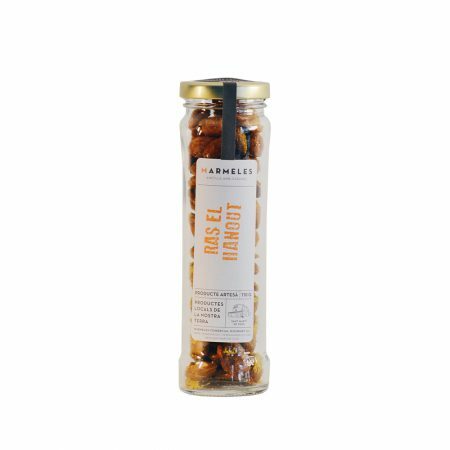 Marmels elaborate delicious caramelized almonds with a variety of flavors to surprise our customers. 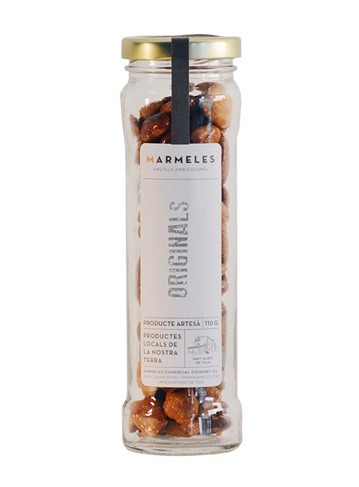 We work with 100% Mediterranean almonds to ensure the highest quality and satisfaction, you'll be impressed by the unforgettable and "Healthy" moment thanks to a caramelized process that is healthier than conventional methods. 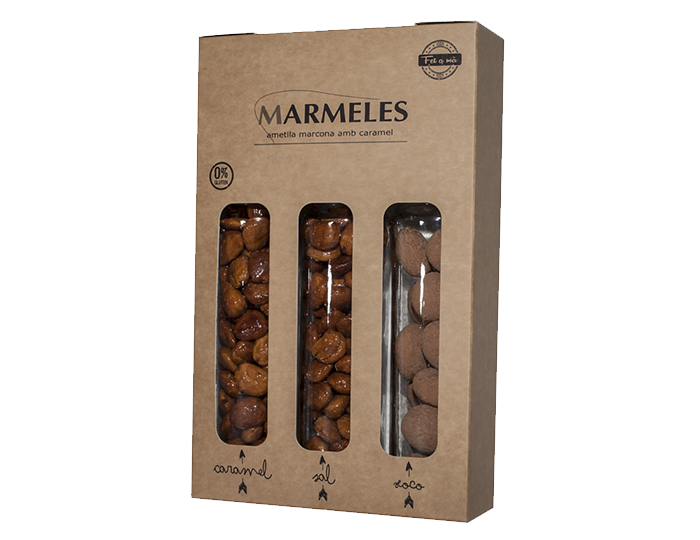 Our almonds are presented in different formats and flavors so you can enjoy Marmeles on any occasion, whether for gift, self-consumption or as a celebration detail. These are our delicious caramelized almonds ideal for accompanying desserts or coffee. 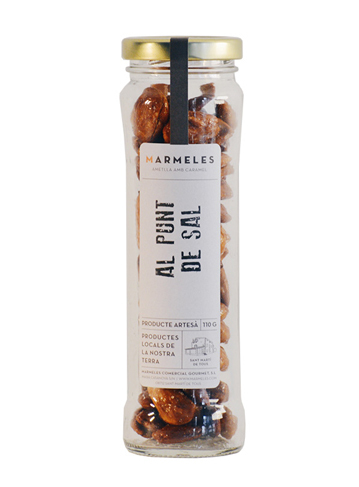 These are our caramelized almonds, combined with a salt point, so that you can enjoy the sweet and salty contrast, making it ideal as an aperitif or accompaniment of a good white wine. 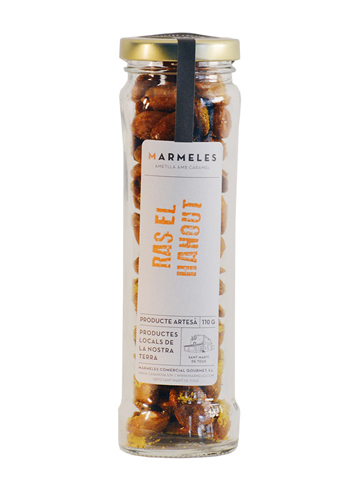 These are our caramelized almonds combined with an exotic variety of spices species called "Ras el Hanout" that contains spices such as (curry, turmeric, cumin, saffron, coriander, etc.) 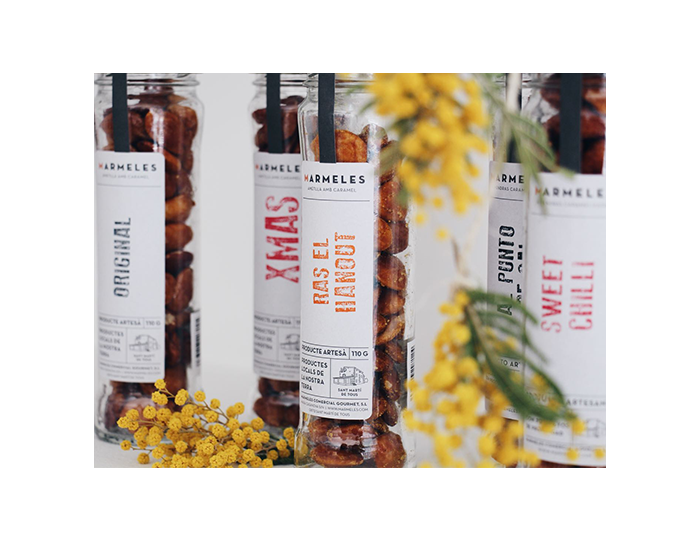 making them ideal for as a good appetiser. 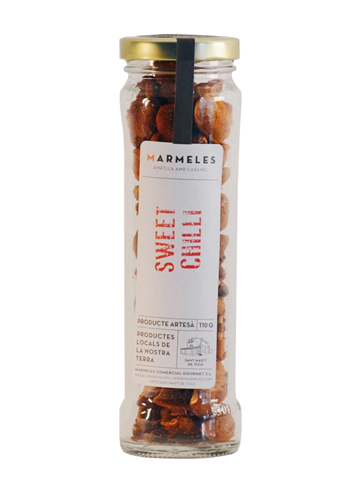 For our daring ones we have our caramelized almonds combined with an explosive spicy point that is provided by Aji Panca Chilli. 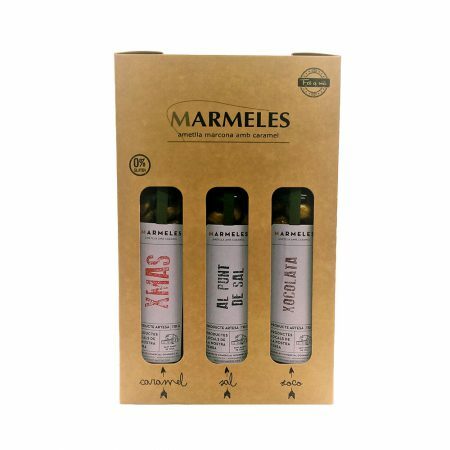 Ideal to accompany a good appetiser or refreshing drink. 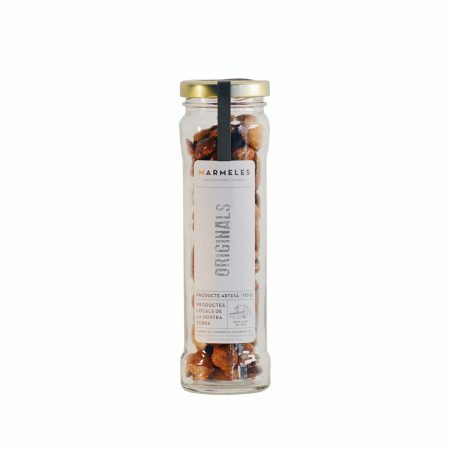 Caramelized almonds in its sweetest version to satisfy the palates of the sweetest of the house, combined with praline and chocolate. 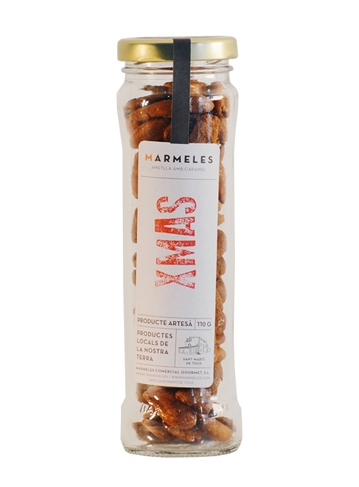 They are our caramelized almonds with a touch of cinnamon, one of the aromas that probably remind us more of Christmas. 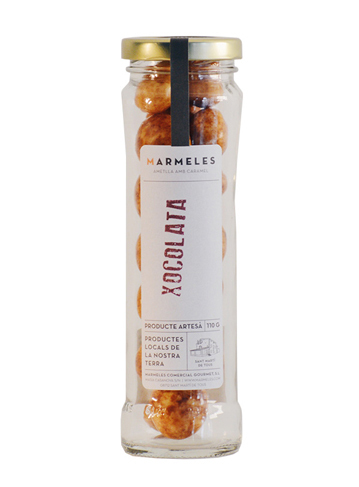 Ideals to snack between meals or savour them as desserts or accompanying a good coffee. 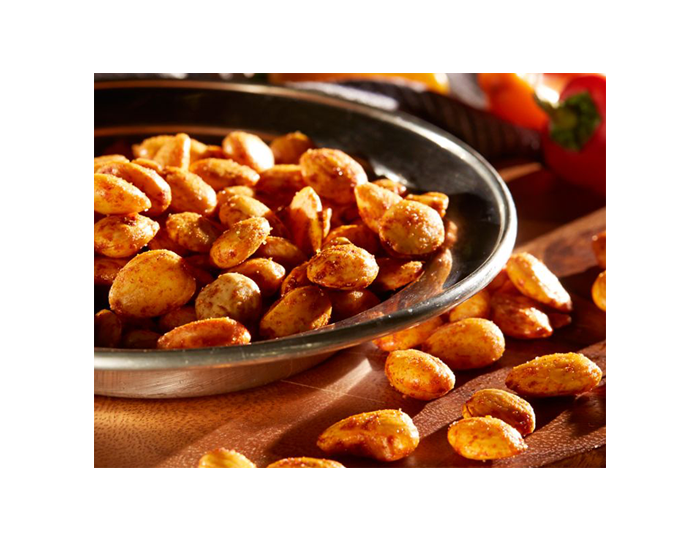 Eat almonds for a Healthier life! 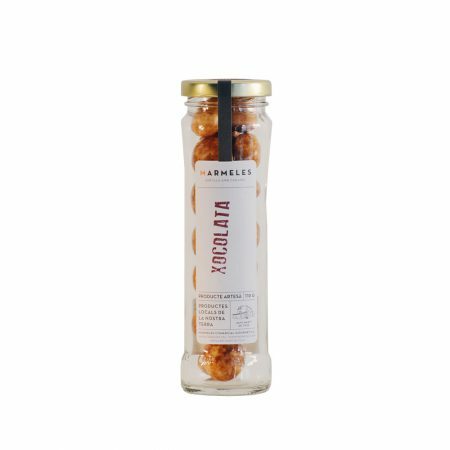 Almonds are rich in calcium and protein and can provide a high energy value in your diet, making them ideal for all types of consumers, especially for those who require products with high caloric intake such as athletes.